Handmade in solid sterling silver to size for you Select your size in the pull down menu. If you need another size not listed, please message me. Please be sure to select the correct size as this will be made to order just for you. 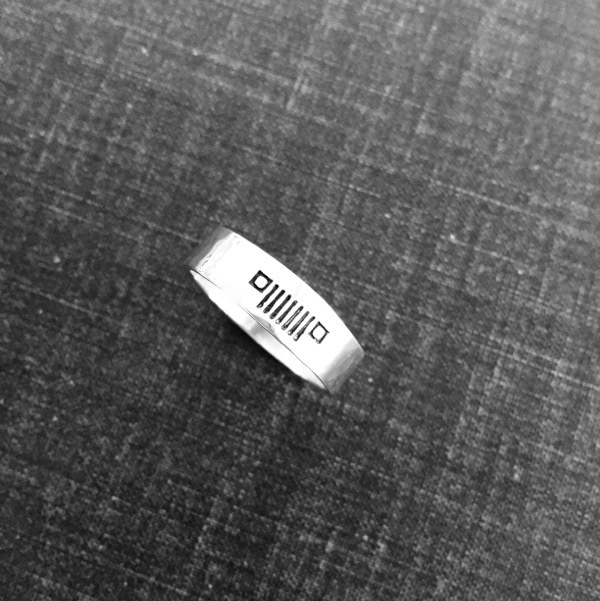 This ring is 1/4" wide, so it is best to size your finger with a similar width. Wider rings usually require a slightly larger size than thinner rings do (usually within 1 ring size). Contact me if you have questions about planning your custom ring. **Resizing is available for an additional fee.